The Nugents are a distinguished family who trace their origins to Normandy, France, in the 10th Century. The name was first adopted by Warrin de Belesme, Lord of Damfront, Mortaigne and Nogent in Normandy around 1020. Warrin’s grandfather, Evas de Belesme, a powerful Norman baron who died in 993, is considered to be the founder of the dynasty. His father, William, Lord of Belesme and Count of Alencon, served King Robert of France. Warrin married Millicent, heiress of the Chateaudun dynasty, and their son Geoffry, Lord de Montaign, Nogent and Gallardon founded the priory of St Denis de Nogent in 1031. Geoffry married Elvidic, daughter of the Count of Champagne, and their son Rotron shortened the family name to ‘de Nogent’. Rotron’s son, Geoffrey de Nogent, invaded England with William the Conqueror’s army, commanding a division at the Battle of Hastings in 1066. He and his brother, Fulquois de Nogent, who also fought at Hastings, may have been granted lands in England as a reward for their services. Geoffrey’s son, Rotron, by his Norman wife Beatrice married Matilda, daughter of Henry 1 of England. Before long the ‘de’ was dropped and Nogent was Angliscised creating the English dynasty of Nugent. At the same time the family disappeared from France though is remembered in the name of several towns, notably Nogent de Rotrou in Normandy, from where they may have hailed. 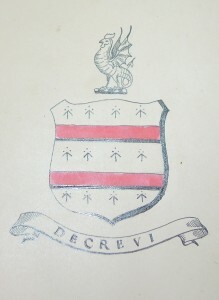 At some stage, the family crest was created, and the motto ‘Decrevi’ which means “I have determined”. In 1172 four sons of the Hastings warrior Fulquois – Gilbert, Richard, Christopher and John – accompanied an English nobleman on an expedition to Ireland, establishing an Irish branch of the family in Country Westmeath. The eldest of the four, Gilbert, became Lord of Meath and subsequenlly acquired the Barony of Delvin in Westmeath together with extensive estates, which he fortified with a string of castles. Some centuries later, Captain Walter Nugent, heir to these estates, found himself on the losing side at the Battle of the Boyne in 1690, where Protestants defeated Catholics led by the deposed monarch James II, causing his estates to be forfeited. He set sail from Liverpool around 1700 to the Caribbean island of Antigua, establishing the family there. One account says that the Irish lands were subsequently restored, but it was too late as Captain Walter had already set sail. Walter’s son (or possibly grandson) Oliver Nugent inherited 500 acres in Antigua known as ‘Nugents’ and built Clare Hall, so named because of a family link with County Clare in Ireland. 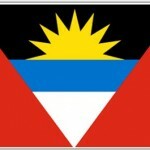 Thus was established the Antigua branch of the family which remained there till the mid 20th Century. Antigua was sighted by Christopher Columbus in 1493 and named by him after the cathedral Santa Maria La Antigua in Castilla, Spain, though he never set foot on the island. It was subsequently fought over by European powers, doubtless to the consternation of its native Carib population, until British might prevailed over that of France in the late 17th Century. A century later, as a young naval officer, Horatio Nelson was based at the dockyard in English Harbour that now bears his name (and has recently been restored) to enforce Britain’s Navigation Acts by preventing non-British vessels from trading with British colonies. London incorporated Antigua within its Leeward Islands colony with neighbouring islands, including St Kitts, Dominica and Montserrat, and placed a Governor at St John’s to administer it. Nugents became speaker of the island’s assembly. The Anglican Church appointed a bishop making St John’s parish church a cathedral. Nugents had arrived a decade before St John’s became Antigua’s capital and Fort James was built to defend its harbour, before sugar took off as the island’s economic mainstay, helped in no small way by a lively trade in slaves from West Africa. 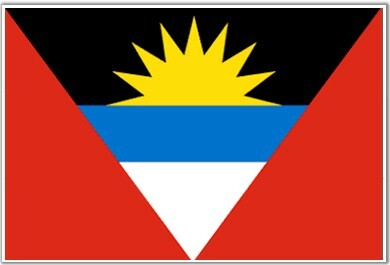 They left partly because of war, as the United States replaced Britain as Antigua’s main protecting power and economic ally, after the decline of sugar and before the rise of tourism as its new economic mainstay, and decades before the birth of the independent republic of Antigua and Barbuda linked two of the Leeward Islands as one new nation. Except that some Nugents did not leave. Antigua was, and remains, their home, their graves lie in two of the island’s five parishes, whilst the family name lives on in a district of St John’s, a classroom at Antigua Grammar School, a street nearby and in a couple of war memorials. Subsequent pages tell the stories of some of those individuals.